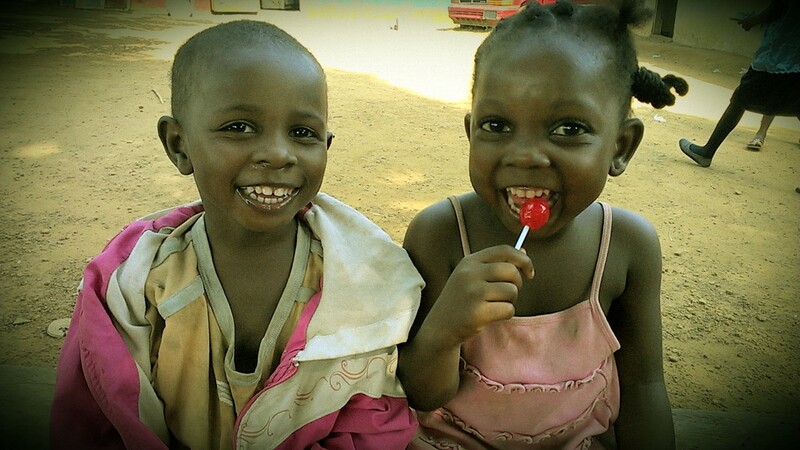 Paul, Damawah and their baby brother Lawrence lost their mother just a few weeks before Christmas. After their father was put in prison, their mother moved them to a small village up country where she had found work. Sadly, she became sick and, since they had no family in that village, no one was there to help her in time. She died in a wheelbarrow, while a stranger was attempting to transport her to a doctor. Scared, confused and alone, the children found themselves in an orphanage that I work with closely. When they arrived, they had swollen bellies, sunken eyes and wouldn’t make eye contact. After only a few days of consistent food, care and attention they started looking better. After a week I was able to play a game of catch with Paul and even caught a shy smile from him. By the time Christmas arrived and Christmas bundles were delivered, the kids were actively involved-- although they weren’t really sure what to do with a gift of their very own, it was possibly the first one they ever received. Today when I was at their orphanage, I saw Paul sitting by himself looking at a book. I called his name and he looked confused, but eventually understood I wanted to spend time with him. He brought me the book, crawled into my lap, and I proceeded to read it to him, and then another, and another... After the first few books, I realized he wasn’t really listening to the stories, he was just enjoying the special time. Eventually I stopped reading, he nuzzled in deeper, we just sat that way for a quite a while-- watching the other kids playing a card game, a lively football match, listening to laughter nearby. Sitting there, soaking in this cuddle-time with Paul, was the second time this week I had a revelation-- yesterday it hit me while I was watching a football game at a different orphanage—THIS IS IT. 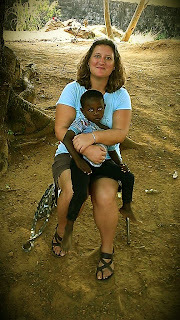 If this was the only moment, the only good, the only experience I’d had in Liberia, ever, it was worth it. Everything in the last (almost) five years could be completely about this moment and that is ok, like Esther’s ‘such a time as this.’ This is where I am supposed to be at this time, all the other questions that may surround that don’t matter. And I have to say, that feels pretty good. I love this Debbie. Beautiful!